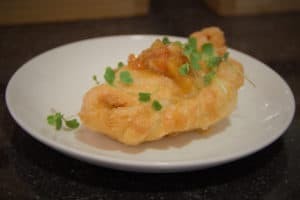 Microsoft runs a community program through its cafeterias with a location called Urban Kitchen, located in the 212 cafe that features local chefs over a four week period. During this time two menus are used, each consisting of three starters, three mains and three desserts. 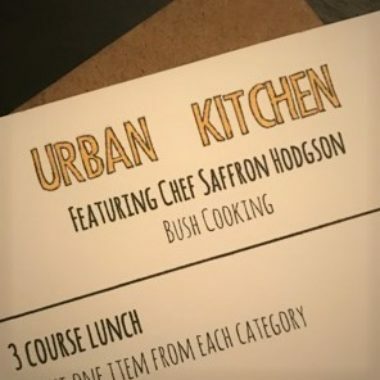 I was lucky enough to be selected as one of the featured chefs and in doing so wanted to stay true to my home country, thus one of the menus was Australian themed. 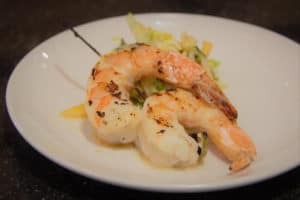 Grilled Prawns – Although certainly a common item to cook in Australia it was thrust into American prominence through a 1984 advertising campaign lead by the Australian Tourism Commission that featured the prominent actor Hogan. 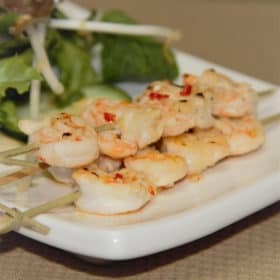 So launched the famous line “shrimp on the barbie“, from here forward it has become a common cliche when referencing Australian cuisine. This particular variation features Asian inspired flavors and is served on an Asian slaw including papaya. 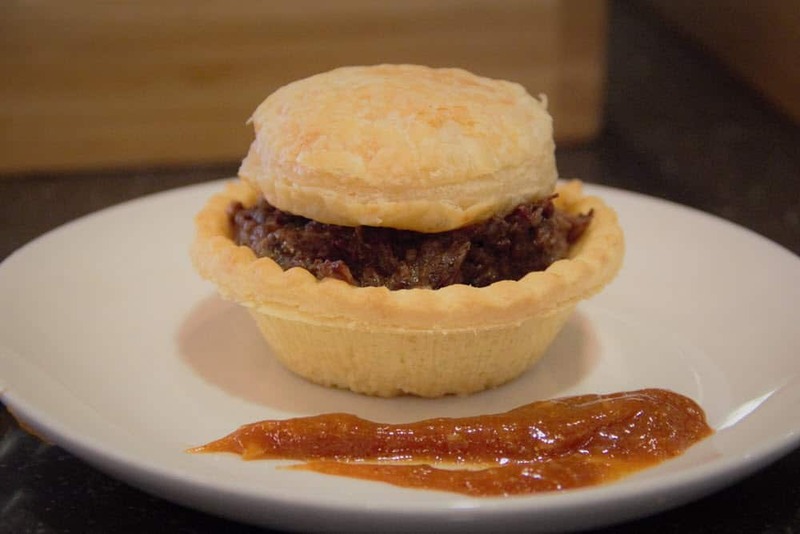 Meat Pies – Is there anything more Aussie than a meat pie? Well ignoring the whole heritage thing where the meat pies originally arrived with settlers from the United Kingdom, but now it has become such a way of life that no one hardly remembers that part of the story. 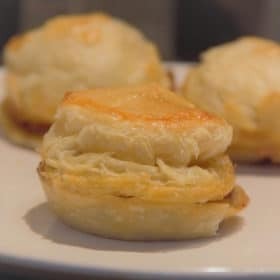 This variation uses a shortcrust base and flaky puff pastry top. Due to this being a kitchen, and not a bakery, there is a slight modification creating the cool look and fill to serve method – but the taste remains great. 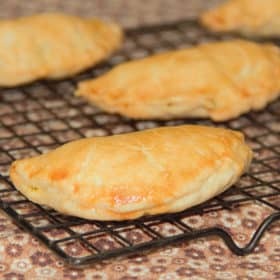 Vegetable Pasties – This is a common item found at many bakeries. Originally this was brought to Australia through our Cornish heritage. This was a common lunch item that miners would take underground with them, originally the rolled pasty edge was thicker and harder and was used to hold the pasty. This would become covered in coal ash from the miner’s hands and would not actually be eaten. The variation being sold is vegetarian using winter vegetables like potatoes, turnips and parsnips. 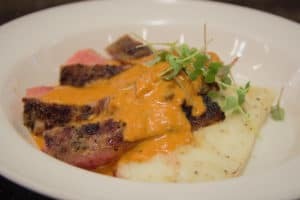 Steak with Diane Sauce – Across the world a lot of variations on Dianne Sauce have developed, this is a version that is prominent across pubs in the Australian outback where it is frequently served as a counter meal. One of the main flavor variations in this version of Dianne Sauce is the addition of tomato. Eggplant Parma – Another popular pub counter meal this one is a bit of a mismatch of heritage, but most closely linked to Italian settlers. The most common Australian serving of this is a schnitzel, either chicken or beef, with a layer of tomato pasta sauce, then topped with cheese that is melted. The traditional parmigiana is like an lasagna that uses eggplant instead of pasta. 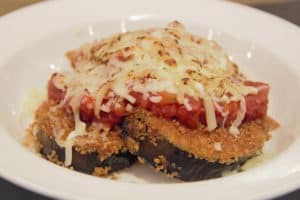 The item being sold is a combination of the two, a crumbed and fried eggplant (aubergine) and is topped with a tomato pasta sauce and melted cheese. Pulled Lamb Roll – Lamb has long been a common meat choice for Australians, more common than beef and pork. This preparation however is not as traditional but draws into the menu my competitive BBQ with this preparation in line with my lamb entries in Australia. 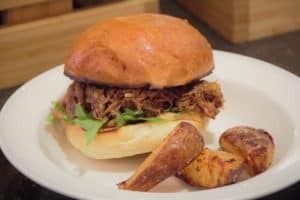 The pulled lamb is braised, pulled then served on a roll with a mint and lettuce filling reminiscent of pulled pork sandwiches. Lamington – Popular across Australia, lamingtons can be found in bakeries and shops across the country. 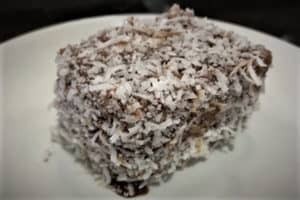 Current thinking is the lamington gets its name from Lord Lamington who served as the governor of the state Queensland from 1896 to 1901, although practically it was more likely from his chef, the French born Armand Galland. They are also similar to a European cake known as a Čupavci (CHOO- pahv-tsee) which translates roughly as fury. 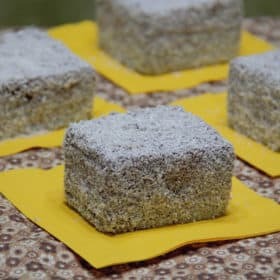 The lamington served is a traditional version using an Italian style sponge cake, dipped in a runny chocolate icing then finally dipped in a desiccated style coconut. Pavlova – Possibly the most loved yet most debated dessert in Australia this dessert was introduced to Australia during the 1920’s visit of Russian ballerina Anna Pavlova, who also visited New Zealand and now both countries claim it as their own, although it also appears to be a popular dessert in Russia where it has a different name. Whatever the origin it is super popular throughout the summer due to its lightness and even frequently served as part of Christmas. 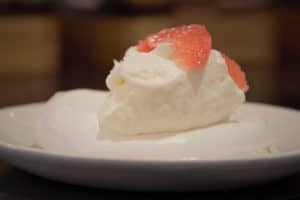 The variation being serve deviates from the traditional with a lemon curd seasoned cream and topped with a grapefruit segment, countering the frequently sweet dish. 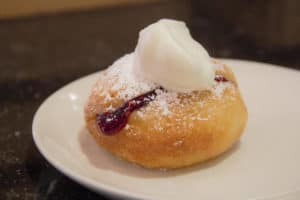 Kitchener Bun – A dessert primarily eaten in South Australia where it was brought in with German settlers who called it a Berliner. After the First World war its name was changed due to anti-German sentiment of the time to a Kitchener bun after Lord Kitchener who was a particularly successful senior British Army officer. Served is a traditional version using a deap fried yeast roll, with a raspberry jam and fresh cream.